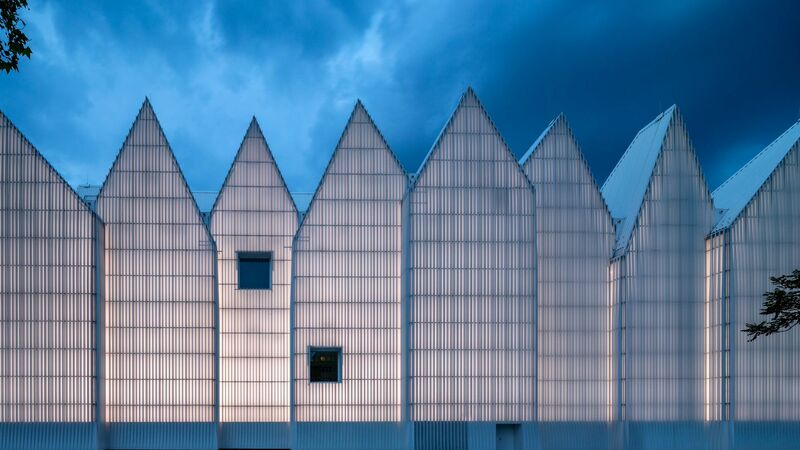 A small Polish city is home to one of Europe's most dramatic new architectural destinations—and the continent is taking notice. Europe has it's share of endlessly photographed architectural destinations in well-trod European cities. Milan's Duomo, Paris's Notre Dame, and London's Parliament remain essentials, but a new wave of architects are seeking to upend the staid dynamic of the circuit. 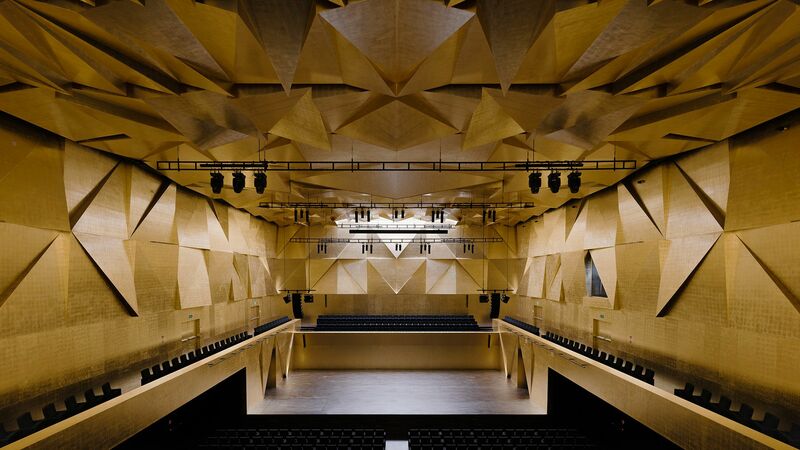 Case in point: the recently completed Szczecin Philharmonic Hall, in the Baltic port city of Szczecin, Poland. 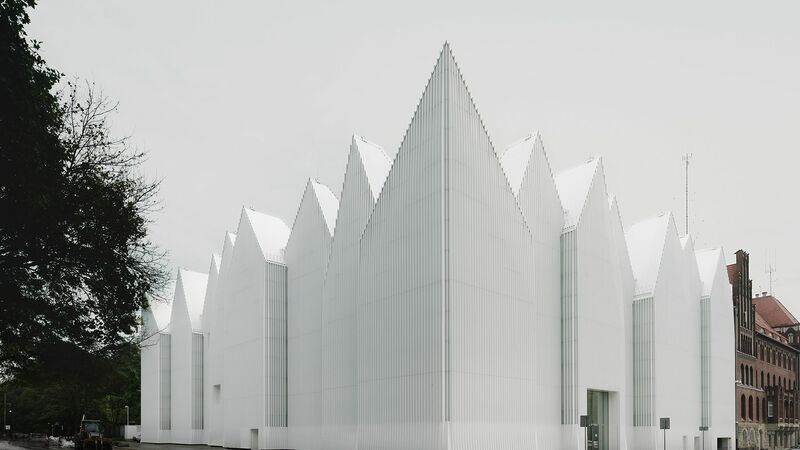 Less than 90 miles Northeast of Berlin, Szczecin enjoys a rich cache of museums, art institutions and theater culture (it was a nominee for European Capital of Culture 2016). 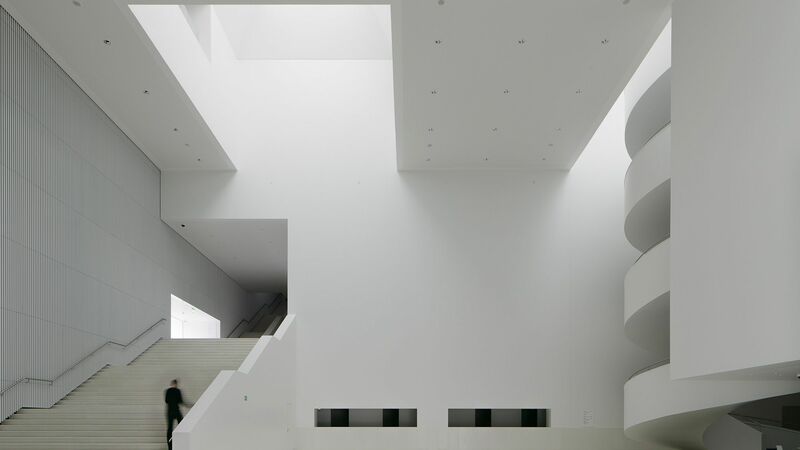 The hall, an expressionist hulk of translucent glass designed by the Barcelona-based Barozzi Veiga, puts the city's cultured foot forward. It cuts a striking silhouette against the muddled stock of Gothic and Communist-era styles—a series of jagged, pitched gables which crown the rectangular complex references of the silhouette of nearby Ducal Castle. At night, the hall is lit from within, rendering the entire building a huge, phosphorescent diamond. Inside is no less impressive. The main foyer is dominated by an immense white spiral staircase—reminiscent of Frank Lloyd Wright's midcentury Guggenheim in New York which leads to a 1,000-seat concert hall, a 200-seat venue for chamber music, conference rooms, rehearsal halls, galleries, and a cafe. The ceiling and walls of the main hall, comprised of undulating wood panels covered in gold leaf, offset the stark white of nearly everything up to this point, a compelling jolt to the considered asceticism. Opened just over a year ago, the Szczecin was recently awarded the 2015 European Union Prize for Contemporary Architecture—Mies van der Rohe Award, the highly-regarded biennial architecture prize, previous winners of which include Olafur Eliasson's titanic Harpa Concert Hall and Conference Centre in Reykjavik, and Snøhetta's sloping Oslo Opera House. The dramatic, graceful modernism of the new Szczecin would have been enough to excite locals, yet it also serves as a dynamic memorial. Constructed in the seat of the former Konzerthaus auditorium, vacant since its destruction during World War II, its very existence is symphonic testament to regeneration. The van der Rohe jury thought as much, commending the Hall's design for finding "a convincing formal and spatial strategy for a city which strives for a better future in a fast-changing economy and social patterns, delivering a dignity to urban life and the same time enhancing the city's specific historical identity with a contemporary monument." So grab a deep-fried pasztecik szczeciński and take in an evening of "Nemanja Radulović does Mozart," or simply witness a city on the cultural rise.